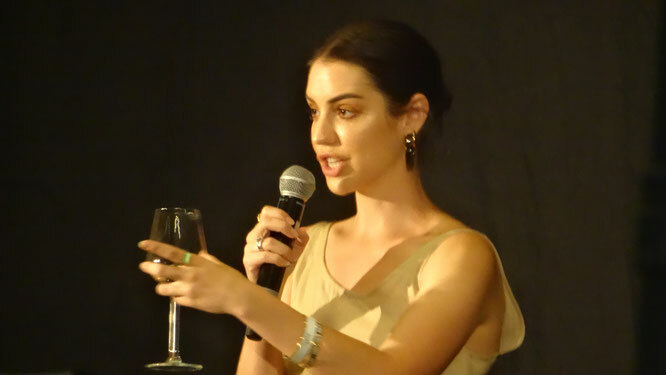 Adelaide Kane was the last guest to be announced for Wolfcon. I saw that many people were really excited about the news that she would be coming to Amsterdam. I just knew her as Cora Hale from Teen Wolf. But soon I learned she had the leading role in Reign. I decided to watch 1 or 2 episodes, just to see the kind of role Adelaide had in that series. But I can tell you, I didn't just watch 1 or 2 episodes. I was hooked from the very first second! 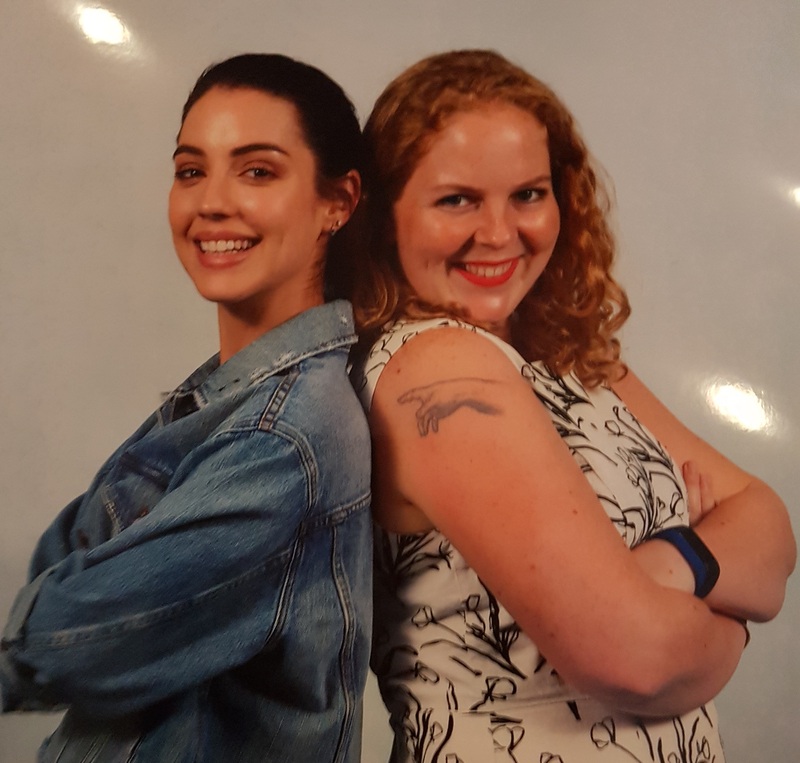 So episode by episode, I got more excited to see Adelaide Kane at WolfCon! Exactly...about a year ago I intended to watch "Reign" , as I think Mary Stuart (Queen of Scots) is one of the most intriguing historical characters. Some things came up and I just did not get the chance to start watching, but then The Con Factory announced Adelaide Kane as their last guest and that's what gave me the final nudge. 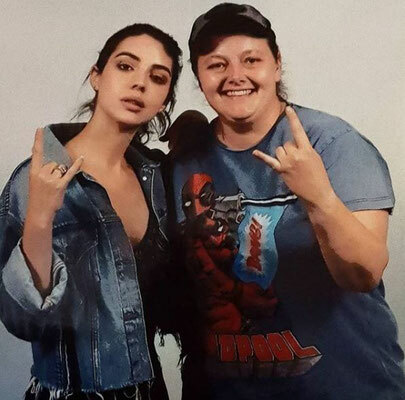 After the first episode I was hooked and over the two weeks that followed I got more and more excited about meeting Adelaide Kane. I also rewatched season 2 and 3 from "Teen Wolf" and just like the first time I watched it, I really liked the character of Cora Hale and especially her scenes with Stiles. Adelaide didn't join the boat trip in Amsterdam, because she hadn't arrived yet. Later that (Friday) evening, Liv and I saw on Instagram that Adelaide's flight had been cancelled. We were already speculating where she would be right now (USA or Europe) and if she would be able to make it to Amsterdam in time. The next day (first day of WolfCon!) Adelaide hadn't arrived yet. The people from WolfCon explained why (flights cancelled, no possibilities for the train) and kept us up to date the entire day of her whereabouts. I had no doubt everyone was doing all the possible to get her to Amsterdam. We also checked Adelaide's Instagram-account regularly and she posted some hilarious pictures on her Instagram Story. Because of this we knew that Adelaide Kane was doing her best to get to Amsterdam, the only question was: when would she arrive? Towards the end of the day, we heard she was almost there. We were so happy to hear that! There were updates on the screen in the panel room, that said: "She is on her way" and "She's almost here". I really liked this, they were building suspense. And then, during the panel of Ryan and Max, Adelaide Kane arrived! She walk towards the queue for questions, and asked 'Ryan do you still like blondes better'? She made a great entrance and everyone was so happy to see her! She really made a 'royal' entrance and when she arrived a big wave of happiness went through the pane room. She told us about her trip: Her flight was cancelled and there was no way to get to Amsterdam by plane or train. So she took an Uber to Dover and slept on a bench until the ticket office opened up. She took the Ferry, lifted to Eindhoven with someone and then had to take the train to Amsterdam (which was delayed because of unplanned maintenance). She got changed on the train and did her make up. So it was really a terrible trip, but she made it! And she gone through so much just to get to WolfCon! I thought that was pretty cool. Not everyone would go through all of this to get to a convention, but Adelaide did. She didn't get the chance to rest, because there was work to do. 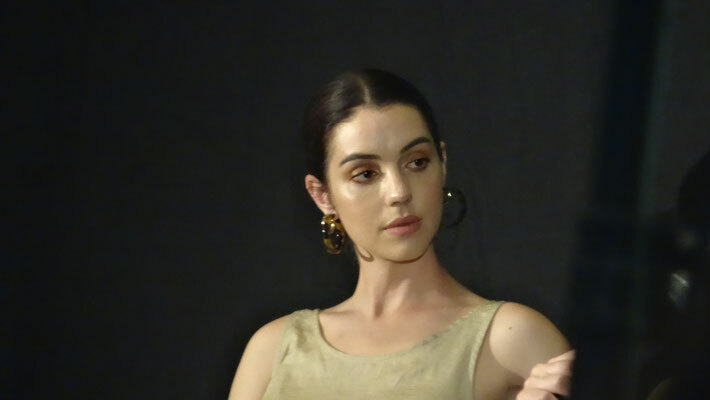 Adelaide Kane did all of her autographs and photo ops for the people who only attended on Saturday and she also attended the evening activity (where according to the pictures we saw, she had a great time). As soon as we knew for sure that Adelaide would still be able to come to Amsterdam, we both bought a photo op! On Sunday, her photo op was scheduled from 15 PM to 16 PM. We were so excited! In that time slot, our pass number was called for the photo op! We went upstairs to queue. We didn't need to wait very long. Soon, the queue progressed and we entered the room of the photo ops. While waiting in line there, we already saw Adelaide Kane doing photo ops. We were told that we couldn't do any floor poses, and no hugs after the photo. 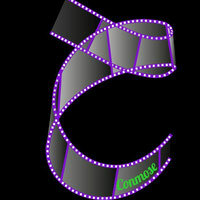 We hadn't thought about a pose yet, so we started some last minute quick thinking! 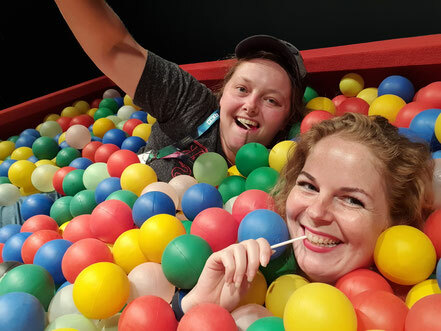 Queuing in the photo op room was actually quite fun! The music (Spice Girls) played out loud and Adelaide really seemed to enjoy it. She was dancing around and at our photo op, "Wannabe" was playing. She was singing out loud and dancing between. It was such a relaxed and funny photo op. I asked for my pose, which was fine and we did the photo. All with "Wannabe" out loud and Adelaide Kane dancing around. I would definitely do this photo op again, it was so much fun. Everyone was enjoyed and dancing and singing a bit. It's a great way to make a queue fun! I couldn't agree more: best photo op (queue)...EVER! Adelaide Kane was constantly interacting with everyone in the room and it was quite relaxing actually. Because Adelaide's plane had been cancelled, she joined later and we saw a bit less panels with Adelaide Kane than was planned. But ones we did see, were awesome! She has a great sense of humor, is super energetic and it was just so much fun to see her on stage! She kept on singing and dancing, it was great! 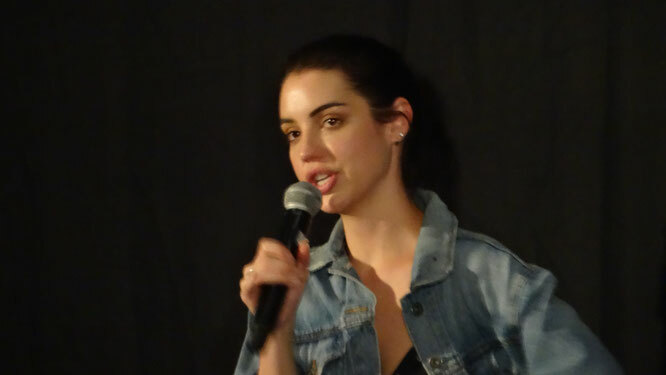 Yup, especially in her solo panel, Adelaide Kane was just wonderful. She seemed to be totally relaxed and made me laugh out loud on multiple occasions. I also went to the mic to ask if she has any hidden talents. During my question she was just finishing her glass of wine and as an answer she out the empty glass in the air. She also mentioned that she can sing and that's about it. Well she can sing and she showed us: She came on stage with the music of the Spice Girls, did a song from "Beauty and the Beast" and did her own version of Wannabe. She also told us about her favorite memes. She was just wonderful. 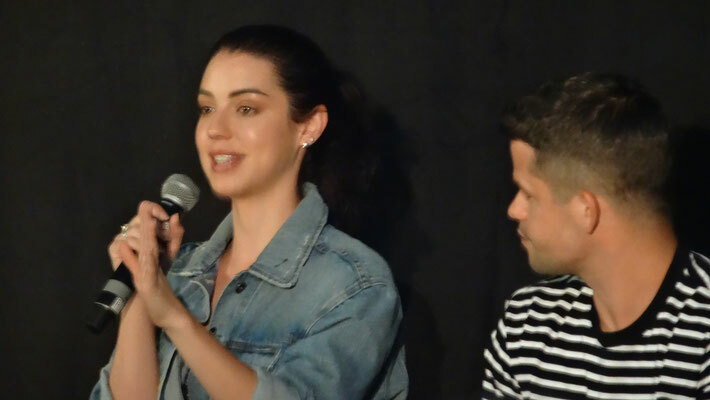 So, let's get on to some of the answers Adelaide Kane gave in her panel! If she could relive one happy moment, she'd pick the moment she realized she had a real friend in Toronto, while she felt lonely before. Her favorite Disney movie is Beauty & the Beast and her favorite character is mrs Potts from Beauty and the Beast. If she could be a superhero she'd be a woman Deadpool or Catwoman. She loves looking at memes and laughing about them. Her favorite cat video is a video in which someone asks the cat "Do you want a treat?" and the cat answers with yeaaaahss. In Reign, she really likes Francis & Mary together. As for Teen Wolf, Adelaide Kane relates the most to Cora on the inside and Lydia on the outside. Though she's less mean. The Maledives are on her bucket list. She compares everyone to animals and called Froy a cute little Labrador puppy, with an amazing jawline.